With almost every member of my immediate family over 50 falling prey to cancer…let’s just say that we have looked into many alternative methods to turning back this auto-immune disease. I have discussed, learned about and listened to many of them and it’s the Gerson method that really stands out for me. It really does work; it’s simple and it makes a lot of sense. – partaking in daily, or more frequent, green coffee (before it’s been roasted) enemas. You hold the liquid in your large intenstines for approx. 15 minutes – this stimulates your liver to rid itself of toxins as well as cleaning out the walls of your intestines from gunk that has been building up in there your entire life. – proper sleep, low stress levels, and preferably incorporation of visualization practices (for healing), meditation etc. … and there you have it. There are books, articles and extensive materials on this which explain everything from the smallest (and often most significant) cellular processes to the larger picture of our horrific conventional agricultural system where chemical sprays (all the “-izers” we’ve all heard about) are entering, and not leaving, our ecosystems, foods and bodies. There is more to the juices and enemas than the 5 lines I put as well – for those interested, the materials are available and have been for many decades. It’s a pretty good film and well worth your time, especially if all of this is new to you. Previous Post Creative city commuting – so what about jogging? Next Post WWOOF – so what the heck is it anyways? My husband has a lung cancer. 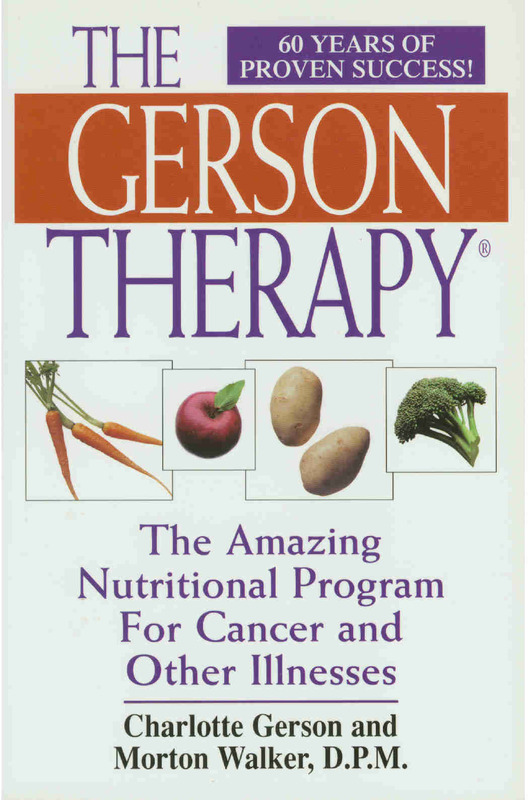 Can Gerson therapy help him? Hi Carmen. I’m very sorry to hear about your husband’s cancer. Gerson therapy may be able to help him, although it is difficult for me to say anything more as I’m not a qualified medical professional. What I have heard is that there are large-scale Gerson healing centres both in Mexico and Hungary (for example this link here https://gerson.org/gerpress/gerson-clinic-mexico/ ). Perhaps they can help you with your continued research! My best wishes go out to you and to your family.